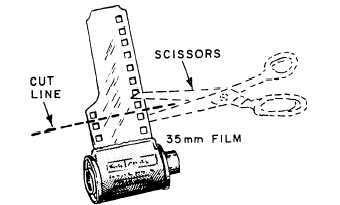 Use this technique to easy load your 35 mm. film into a reel. Make the edges smooth bij cutting them so the reel will have less chance of jamming.